Ahead of the Fund for Citrus Protection (Fundecitrus), the agronomist Dr. Lourival Carmo Monaco, who is also a citrus grower and president of the Citriculture Chamber, highlights the importance of science and research, which have been making citriculture an increasingly sustainable activity. “You know how it is: a person wants to swim across a river and does; but comes out on the other side at a point lower down, not at all where he expected. Isn’t life really a dangerous business?” “Distinguished by the knowledge” and “aesthetically perfect”, Houaiss’s dictionary definitions for “celebrated” and “sublime” respectively, the passage of “The Devil to Pay in the Backlands”, by João Guimarães Rosa, serves as illustration for the 40-year history of Fundecitrus. Practical, the citrus grower, an agronomist with a master’s and doctorate degree from the University of California, and current president of the Citrus Supply Chain Sector Chamber, part of the Ministry of Agriculture, Livestock and Food Supply (MAPA), and Fundecitrus, Mr. Lourival Carmo Monaco reads “process” where Mr. Guimarães Rosa suggests “crossing” and reads “evolution” where the author suggests “current”. “Fundecitrus has always been up to date with the demands of citriculture,” says Mr. Monaco. For example, Mr. Monaco resorts to citrus canker, a phytosanitary challenge which has never left the institution’s agenda. “Until the effective date of the Risk Mitigation System, in March of this year, suppression [disposal of contaminated trees and fields] was the only way to control the disease,” he says.  In that period, Mr. Monaco recalls, Fundecitrus participated in the Citrus Canker Eradication National Campaign (CANECC) in the 1970s and, in the 1980s, created the Citrus Canker Prevention State Campaign (CEPRECC), he began, with his own team of agronomists, to guide citrus farmers growers on prevention, and carried out the so-called “census”, as it was known at the time the operation to map the park of São Paulo, and list all groves affected by the disease. “The decade of 1990 is marked by the creation of the Scientific Department,” Mr. Monaco continues. “Since then, in partnership with several scientific institutions, we [Fundecitrus] have sequenced the genome of the bacterium Xanthomonas citri subsp. citri, we established its life span, we verified the safety of the pruning for the eradication of the disease, we determined the methodology of inspection, and we studied the influence of the citrus miner, the times and intervals more appropriate for application of bactericides, and even the reduction of product volume,” he says. “With all the knowledge we have acquired, we helped the Ministry of Agriculture to support the Normative Instruction No. 37, and we are helping the Secretariat for Agriculture and Supply of the State of São Paulo to implement SAA-10, laws on the Risk Mitigation System, a claim of citrus growers from São Paulo”, he adds. In October, Fundecitrus hosted a meeting of the Sector Chamber, mediated by Mr. Monaco, with representatives of state secretariats of federative units that adopted the system and citrus growers from São Paulo to deal with adjustments in this phytosanitary status. “Something absolutely natural when a drastic change comes into force,” says Mr. Monaco. Apart from de main point, whose pleas will be evaluated by the Ministry, the event symbolizes how committed Fundecitrus is in favor of the full functioning of all links of the chain. This capillarity gives hints of the path that will be followed from here on. Mr. Monaco says Fundecitrus has a very clear role within the citrus belt of São Paulo, Triângulo Mineiro, and the Southwest of Minas Gerais: acquiring knowledge through research and exchanges and transferring technologies to citrus growers through direct contact with agronomists, specific events and technical materials. “In this sense, communication has a strategic role,” he says. The president of Fundecitrus knows the value of science to the results that will allow the maintenance and even the increase of competitiveness of citriculture of São Paulo and Minas Gerais. 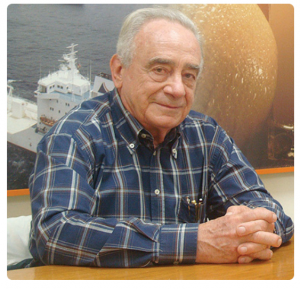 He was president of FINEP, a national agency for promotion of studies and projects in science, technology and innovation, and State Secretary of Agriculture of São Paulo, among other functions and positions that he held throughout his extensive professional career as a scientific researcher, and then, director general of the Agronomic Institute of Campinas (IAC). However, according to Mr. Monaco, reduce Fundecitrus to a scientific institution is to have a partial view of the institution. “Fundecitrus stands for Fund for Citrus Protection. And there are several ways to defend citrus. This defense, as we understand it, goes beyond the phytosanitary scope,” he explains. “Fundecitrus today has regional, national and global influence,” he says. “We are present in both one or two-day technical events aimed at citrus growers, addressing a specific disease or pest, answering questions, bringing information, as well as in international forums and congresses,” he adds. Even within this set consisting of science, transfer of technology and communication, Fundecitrus’ operation can be considered quite broad and complex. Regarding citrus greening, for example, the institution coordinates a series of researches, ranging from the behavior of psyllid and detailed biological studies, such as the dynamics of budding, going through the manifestation of the disease in the groves, which showed how the edges are more sensitive to infection, up to biotechnology, among others. “Once citrus greening was identified in Brazil [in 2004], we recommend the management tripod [acquisition of healthy seedlings, eradication of sick plants and control of the insect vector]. Today, the tripod gave way to the ten commandments. The list of recommendations more than tripled,” he argues. To justify his view that Fundecitrus goes beyond science, field in which he became a world reference, Mr. Monaco also highlights two activities of the institution. The MasterCitrus – Fundecitrus’ Professional Master’s in Disease and Pest Control, mainly for agronomists and biologists, which has been training citrus professionals in strategy, planning and implementation of actions against diseases affecting orange, lemon and tangerine groves since 2009. The Orange Production Forecast (PES, in Portuguese), conducted by Fundecitrus since the 2015/16 season, has also contributed to the international prestige of the institution. “The event to release the number of orange boxes of the season is transmitted in real time in our website, with English translation. The audience this year reached almost a thousand hits, from many countries,” he says. Although the number itself raises market interest – hence the Fundecitrus’ responsibility for data confidentiality – Mr. Monaco says that for the institution, the most important thing is the work behind the number. “To reach the quantity, we have traveled more than 300 thousand miles. With the Tree Inventory, we broadened the knowledge of our citriculture profile in its diversity of climate, and social and economic conditions for the exercise of best agricultural and commercial practices,” he justifies. How to produce on a large scale (economic aspect), ensuring the generation of jobs and taxes (social aspect), with the least possible impact (environmental aspect)? “From the strictly technical point of view, citrus greening is a phytosanitary challenge. As the disease has the potential to destroy the whole citrus park, ending with an agribusiness chain that moves annually USD 14.5 billion, collects USD 180 million in taxes for around 350 municipalities and generates 200 thousand direct and indirect jobs, citrus greening is an economic and social problem,” says Mr. Monaco. “Therefore, fighting citrus greening is not only a problem for citrus growers and competent governmental authorities: it is also a problem for society,” he concludes. And to mobilize society in this fight, which they can collaborate by eliminating or exchanging myrtle and citrus plants in backyards, farms and ranches for other ornamental or fruit species, Fundecitrus expanded the actions of the campaign #UNITEDAGAINSTGREENING. Usually, the messages are restricted to the citrus community. This time, they were broadcast on television, journalistic websites and outdoor signs, as well as face-to-face awareness work carried out together with several city halls in the countryside, in partnership with companies in the sector. For the third consecutive year, the incidence of the disease remained around 17%. Stabilization is positive, but the level is high – more than 30 million sick trees. The fear is that any increase in the index will make it impossible to control. “If the disease has been causing huge losses year after year in Florida [southeast of the United States], which for years has been considered a model of productivity for the world, you can imagine the citrus greening destruction capacity,” says Mr. Monaco. The situation in Florida is increasingly dramatic. According to the latest forecast by the USDA, the US citrus park will harvest 50 million boxes – 162.1 million boxes were harvested ten years ago. It is true that this harvest was strongly impacted by Hurricane Irma, but citrus greening is the main cause of this sharp drop. It is estimated that 90% of Florida trees are sick. Another social problem of the disease is that the incidence is higher in small properties. Basically, this is an epidemiological issue, not necessarily a sophistication of management measures. The insect vector of the bacterium settles in the first plants of the grove: what is conventionally called “edge effect”. Because the border plants of small properties proportionally account for a significant portion of the total number of trees, control is much more difficult. “The social commitment of Fundecitrus is serious and irreversible. We do everything we can to warn about the dangers of citrus greening and to bring citrus growers every possibility of improvement in control,” says Mr. Monaco. One of them, the Phytosanitary Alert, launched in online format in August 2012 in the regions of Santa Cruz do Rio Pardo, Avaré and Araraquara, in the state of São Paulo, combines efficiency and environmental responsibility. At the time, the technology covered 80 thousand hectares in three regions. Today, the Alert covers more than 260,000 hectares in ten regions. With regional management, citrus growers of a certain region spray together and simultaneously. With everyone acting at the same time, the psyllid has no escape route, and the population is reduced. This way, efficiency, economy and lower amounts of agricultural pesticides are on the same level. At Fundecitrus, everything intertwines. “Do more with less. This theme is intrinsic to all studies of volume reduction. Decrease of active ingredients, less water and less time of machines in operation, with lower fuel consumption. All this, as long as applications are made at appropriate times and intervals, issues also studied by Fundecitrus, provides controls as or even more efficient than previous theories and the tradition of citrus growers,” says Mr. Monaco. “This is sustainability,” he says. In this context, the release of Tamarixia radiata – a tiny wasp that, when it reproduces, kills the nymphs (young phase) of the psyllid – in areas that do not receive chemical control contributes to the decrease of the population of the citrus greening vector. “Studies on biological control are still incipient. We are trying to raise other species of natural enemies for citrus pests. But in science, we know that what is latent today, tomorrow can become a solution, “says Mr. Monaco.